LOS ANGELES, CA, USA, February 14, 2019 /EINPresswire.com/ -- 5 Star Car Title Loans is pleased to announce a new scholarship opportunity beginning January 10th and ending on December 1st, 2019, 11:59 PM PST. Winners will be announced by January 10th, 2020. We’re offering a $1000 scholarship to help students with their educational costs. Visit our scholarship program webpage for eligibility requirements, and to apply online today! 1. Must be an undergraduate student. 2. Must be enrolled in a higher education institute in the US. 3. Must complete our scholarship application and essay (400-600 word limit). 5 Star Car Title Loans provides title loans for all California residents! We are a full service title loan company, meaning we will always do our best to seek a solution for each and every applicant. We offer different range of loans between $2600-$20,000. We base our loans on the value of your car and your ability to pay back the loan as part of our credit criteria. To learn more about how auto title loans work read our guide: How do title loans work or call us now and speak with our team! NO PURCHASE NECESSARY TO ENTER OR WIN.OPEN TO/ENTRY DETAILS: Open to legal residents of the 50 United States and the District of Columbia who are of legal age of majority in their jurisdiction of residence (and at least 18) at the time of entry, are a current undergraduate student, and enrolled in a post-secondary educational institution located in the 50 United States or D.C. at the time of entry and at the time the scholarship is awarded. 3. Contest begins at 12:00 a.m. Pacific Time (“PT”) on January 10, 2019, and ends at 11:59 p.m. PT on December 1, 2019. All entries must be received by 11:59:59 p.m. PT on December 1, 2019 in order to be considered for the Contest. 4. PRIZE DETAILS: One (1) $1,000 Scholarship in the form of a check payable to the Winner for the purpose of helping the Winner with his or her educational costs. ARV $1,000. 5. ODDS: Odds of winning depend on number of entries. 6. ELIGIBILITY: Employees, contractors, directors, officers, and agents of 5 Star Loans, its affiliates, and members of the immediate family and household of each such employee are not eligible to enter or win. 7. Online entry only. 8. Limit one (1) entry per person. 9. Void where prohibited. 10. Participation is subject to complete terms and conditions by which all entrants are bound. Available at https://5starloans.com/scholarship-program/ 11. Entrants release all parties from all claims/liability arising from this Contest or acceptance/use of any Prize. 12. 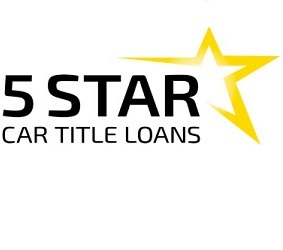 Sponsor: 5 STAR LOANS INC. d/b/a 5 STAR CAR TITLE LOANS, 2216 E Colorado Blvd, Pasadena, CA 91107. Copyright 2017 5 STAR LOANS INC. All Rights Reserved. Printed in U.S.A.